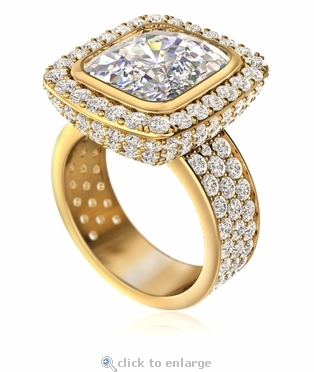 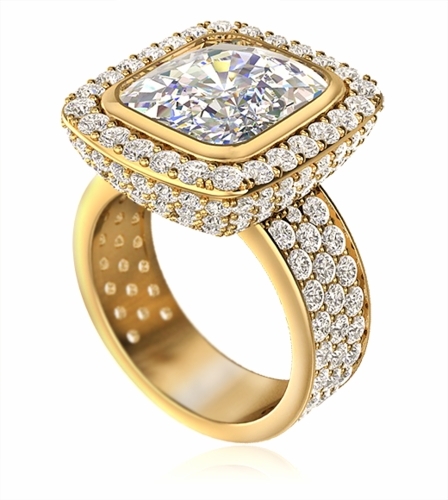 The Avellina 7 Carat Cubic Zirconia Emerald Radiant Cut Bezel Set Pave Halo Ring is a stunning display of elegance. 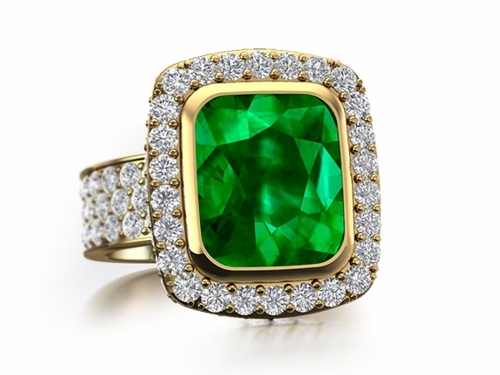 The 7 carat emerald radiant cut cubic zirconia measures 12x10mm and is bezel set in a yellow gold frame. 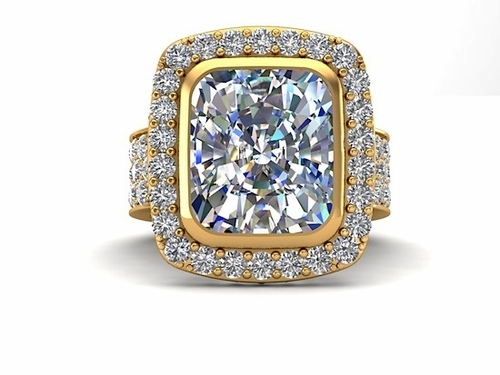 A halo of pave set round cubic zirconia stones further accentuate the stunning Russian formula emerald radiant cut center that is hand cut and hand polished to exact diamond quality specifications. 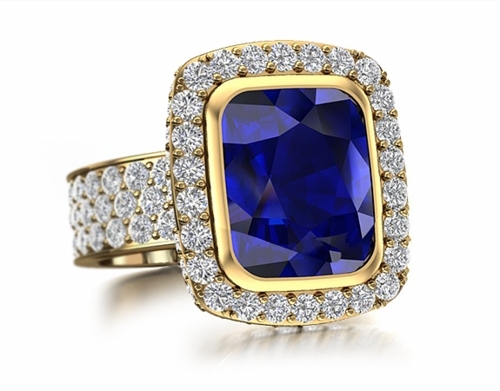 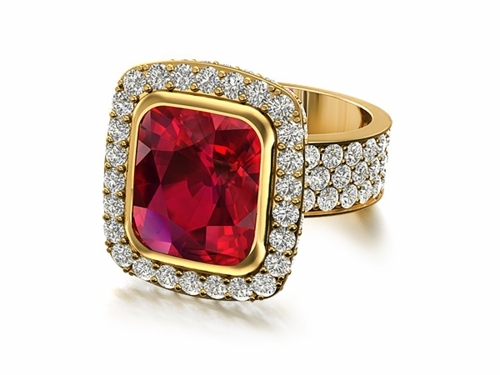 Customize this ring by choosing a man made green emerald, man made red ruby, blue sapphire gemstone or simulated diamond look, pink diamond or canary yellow diamond look cubic zirconia center stone color, please see the pull down menu for options. 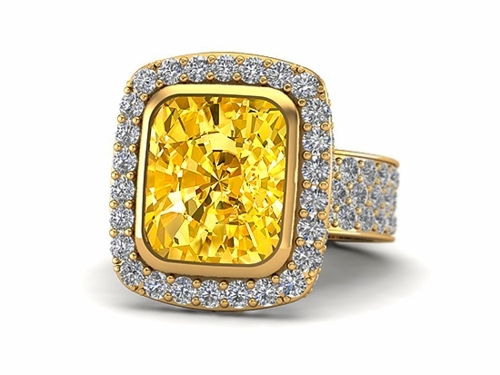 Choose from 14k white gold, 14k yellow gold, 18k white gold, 18k yellow gold or luxurious platinum. 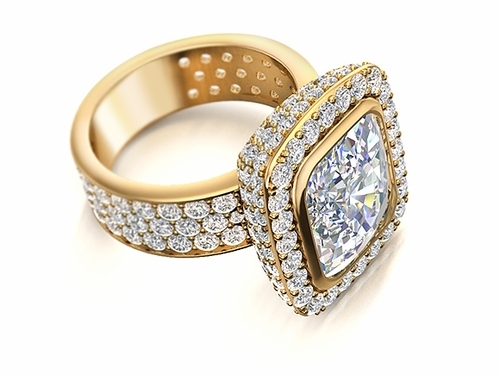 The Avellina is also offered with a 12 carat center stone option, in your choice of metal options, please see item R1689. 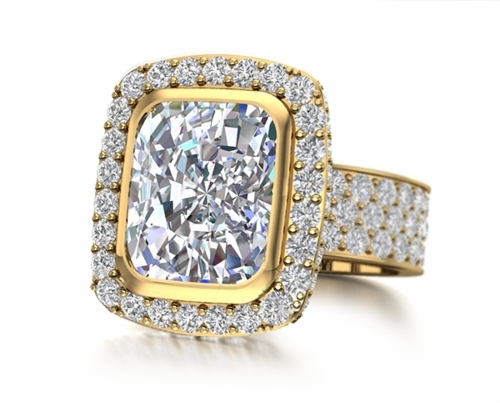 For further assistance or customization, please call us directly at 1-866-942-6663 or visit us via live chat and speak with a knowledgeable representative.